Centre for Islamic Economics (CIE) and Centre for Excellence in Islamic Finance (IBA-CEIF) are pleased to announce one-day intensive course to provide principles governing Islamic Finance. The course is uniquely designed to provide the participants insights to various elements of Islamic Finance together with the latest practices adopted by the Industry. 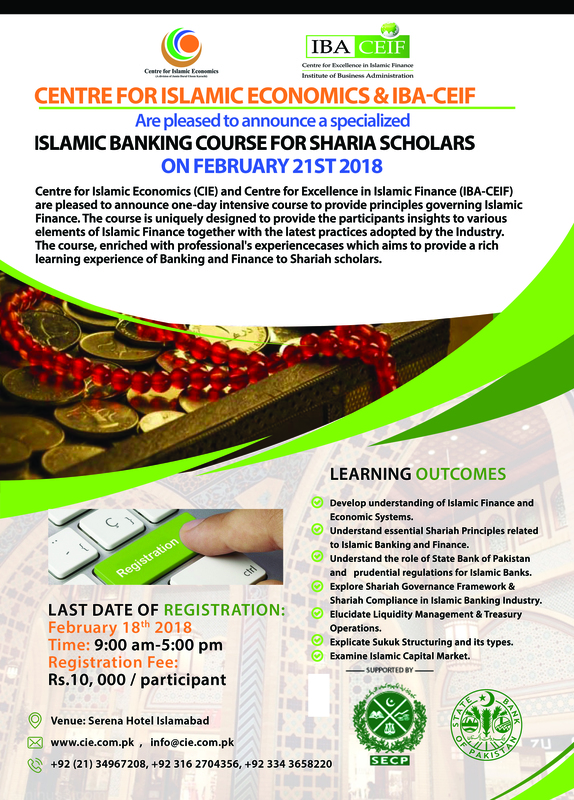 The course, enriched with professional’s experience, cases which aims to provide a rich learning experience of Banking and Finance to Shariah scholars.